Need a healthy and delicious side dish that is super easy to make? 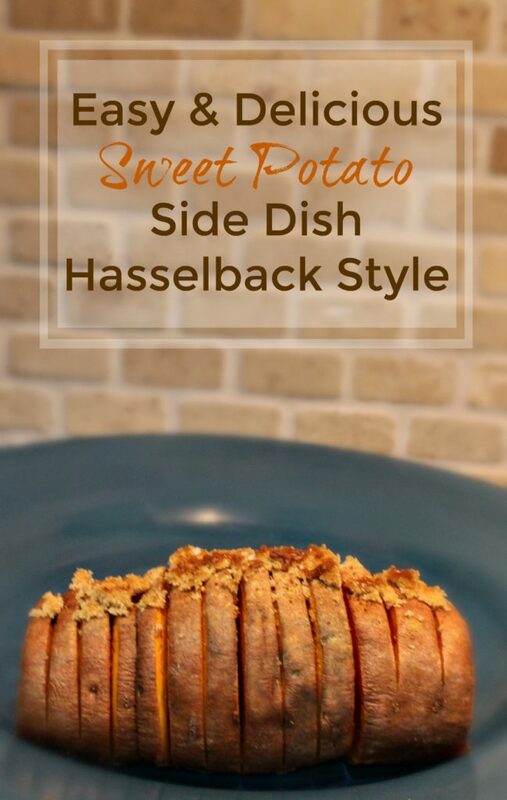 I love these Hasselback Style Potatoes because they look fancy enough for a formal dinner side dish, taste incredible and are simple enough for anyone to make. These are also a great alternative to serve at Thanksgiving dinner although they are fantastic any time of year. With a crispy outside and buttery soft inside you will love that such a healthy food can taste so incredibly good! 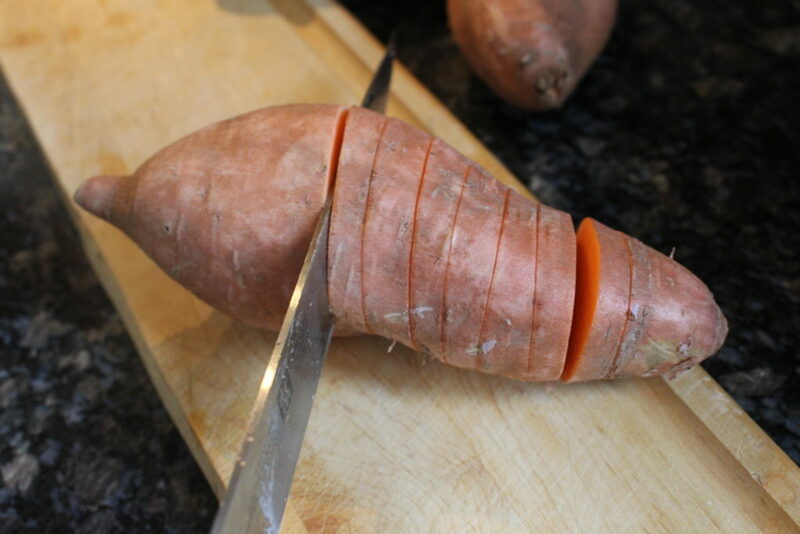 Use a knife to slice the potatoes making sure to cut near to but not all the way through to the bottom of the potato. Carefully put the potatoes in a baking pan making certain that they do not touch. 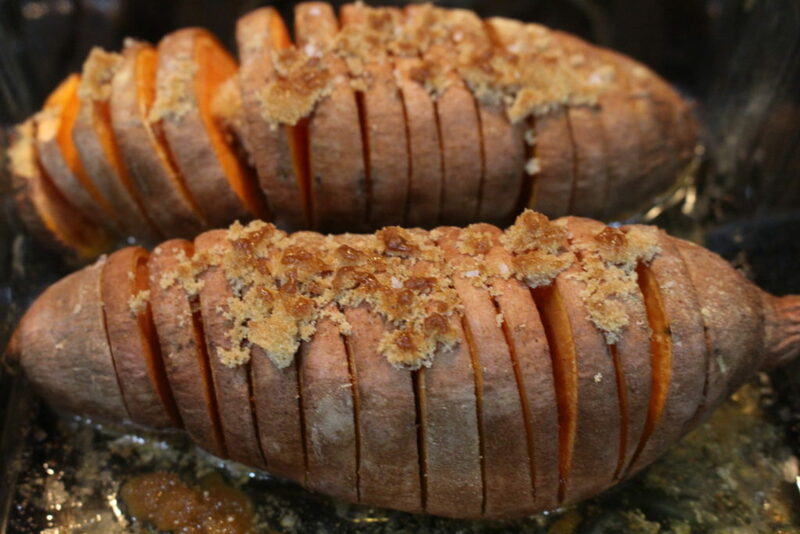 Sprinkle each potato with a bit of dried ginger, nutmeg & salt. Slice a stick of butter into 4 – 5 lengthwise pieces. 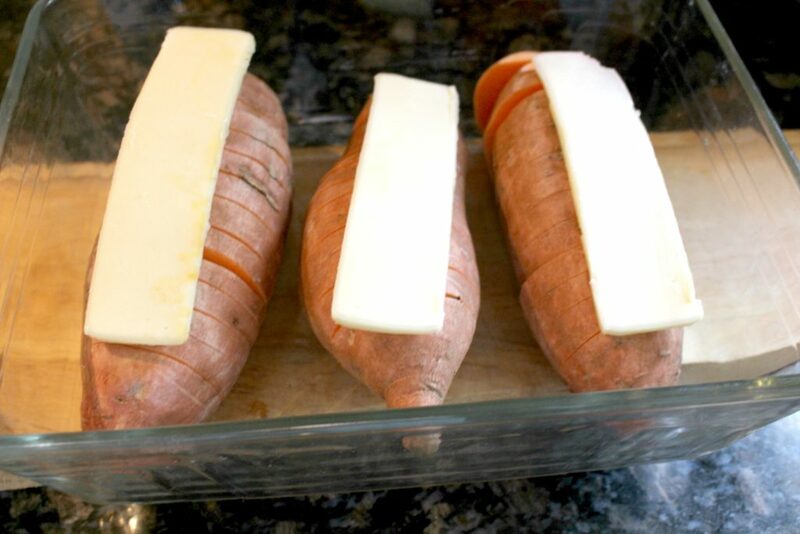 Add a strip of butter to the top of each potato. Put the pan in the oven and bake on center rack for 45 minutes. While the potatoes are cooking, make a bowl of 1 teaspoon of softened butter and add brown sugar until a thick and almost dry, crumbly paste is made. Set this aside. Once cooked, remove potatoes from oven and change the setting to broil. 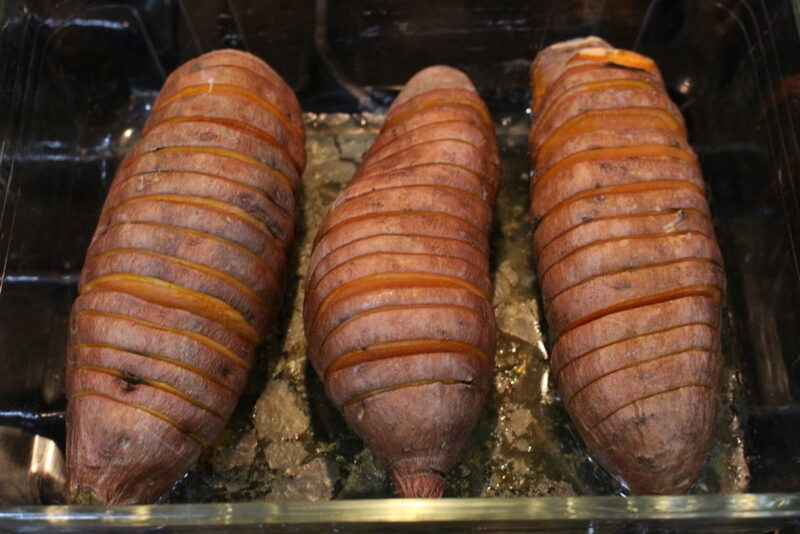 Top each with the brown sugar paste by spreading it across the entire top of sweet potato. Put the potatoes back into the oven on the top rack and remove immediately once the brown sugar has changed to a brown crust. Let cool a little and serve! Fast & Easy Foods, Vegetarian/Vegan. permalink.